The following is an excerpt from a Michio Kushi lecture as published in the “Order Of The Universe” magazine, Volume 1, No. 4 from August-September of 1967. So many people think that body and spirit are separate; this is complete schizophrenia. The relative life is manifested as a small spiral in the ocean of spirit; at the most dense, inmost point within the spiral a visible form appears, our body, and it disappears into invisibility – – that is spirit. Body and spirit are the same thing. as you know, many people ignore the health of the body – – that means they are ignoring the spirit also. And many people, who are ignoring the spirit, and thinking only of visible property, visible happiness – – they, too, are schizophrenic. We have to see both as one continuity. You can call this bodily spiral as the small “i” and you can call this invisible infinity the large “i” – – the small “i” is our body and the large “I” is our food, our field of activity, thinking, feeling, imagination and all spiritual activities. 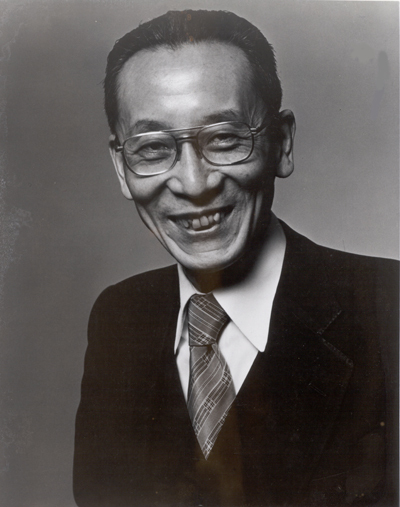 My first teachings on spirituality came from Michio Kushi, and this set me on the trajectory of my spiritual destiny. I used to get very inspired/energized by his lectures, which i first heard in NYC in 1971. I bow down to Michio as a precious teacher. What are the chances a Kushi (Phiya or other) will return to run the Institute in MA?